Do I have a treat for you today, or what? If you're like me and love cheese, love something spicy and are on the lookout for quick and easy appetizers or finger food you can serve a crowd, you've come to the right place. These little cheese bites are so, good. With a little crunch from the bread crumbs, these little bites, I think would be lovely with some chilled beer. It would be ideal on a game night, specially if you have folks over to watch the game. Be warned, these are addictive, so you might want to make enough to cater to the crowd you're expecting. Each pepper gives you 2 pieces. Typically, these bites are made using jalapeno peppers, but in Mumbai it is close to impossible to get jalapeno peppers, so I opted for 'Bhavnagari Chillies', the next best thing. Its also really easy to increase or decrease quantities here, so just go for it. You won't regret it. Slit the peppers in half. Whisk the cream cheese till it becomes smooth and creamy. Do not over whisk. 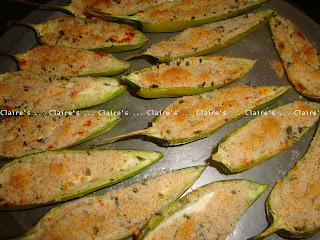 Using a spoon, fill the pepper halves with the cream cheese. Alternatively, you can use a pipping bag to pipe the cream out. This time around, I used a spoon. Sprinkle a touch of red chilly powder, the bread crumbs and some chives. Place on a baking tray and bake in a hot oven @ 170ºC, till the crumbs are crispy and slightly browned. 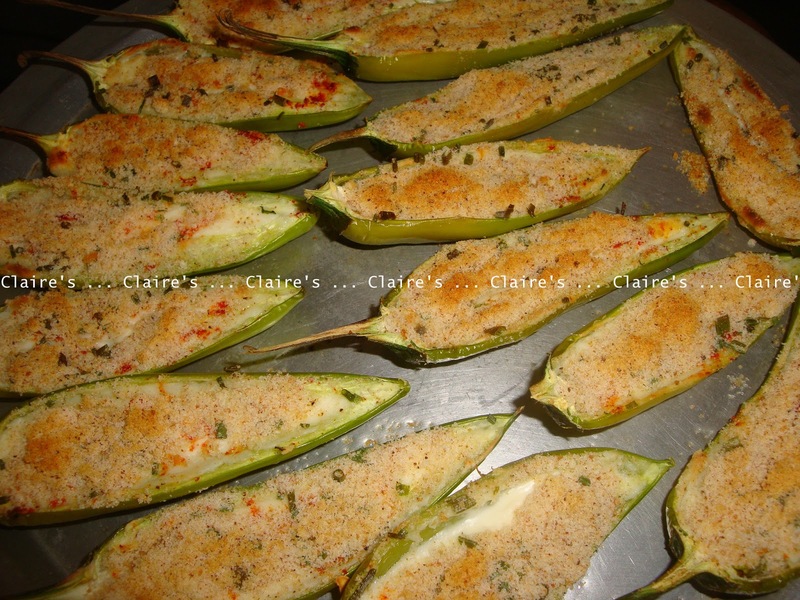 Delicious green pepper poppers. Yumm. :) Thanks for stopping by Swathi!